Atlantic has launched the versatile Shield Laminator range, which has been designed and manufactured to deliver finishing solutions for a wide range of signmaking applications. 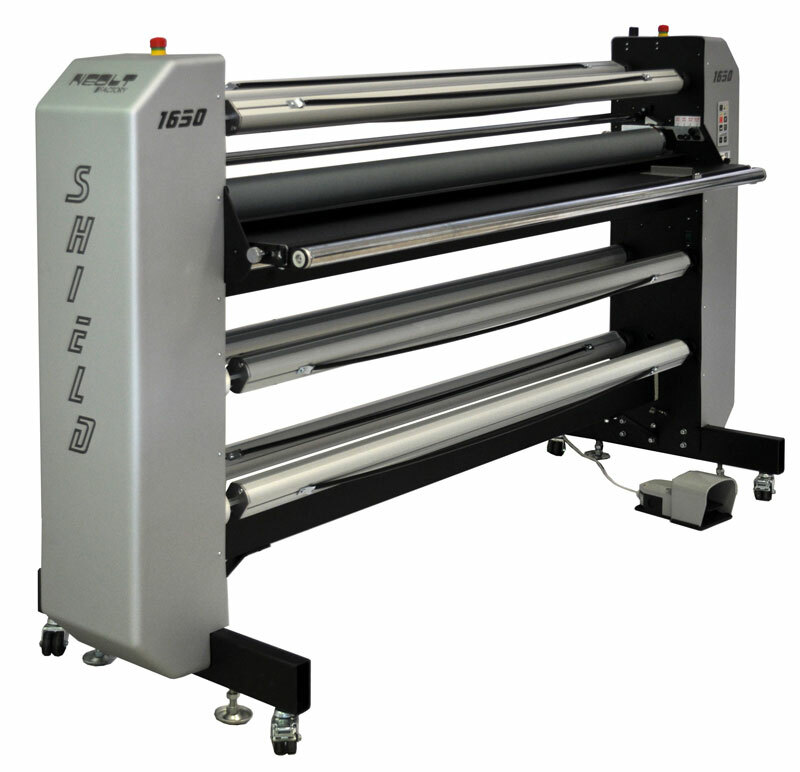 The Shield range is totally field upgradeable, from the basic cold lamination model to the dual heated roller version and is also available as a dedicated wrapping edition end to end work station, which features a motorised double roll and automatic rotary cutting system at exit. This can be further complemented with the addition of the optional back lit and scratch resistant tables. The lamination rolls are covered with a specially designed silicone coating, which facilitates easy lamination of media. 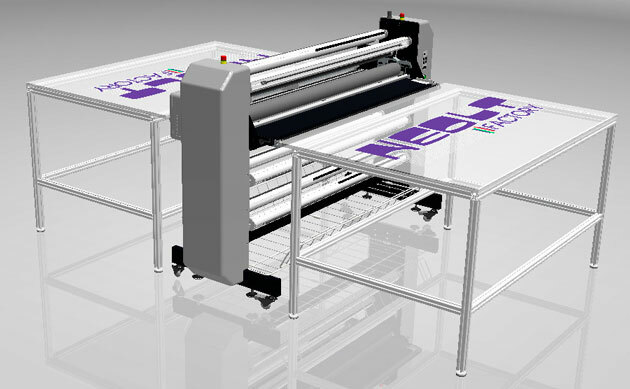 The Shield Flatbed model, which is designed for all professional lamination requirements, comes supplied with a pneumatic pressure motor and moveable feed/exit tables as an online extension to the machine’s versatility. 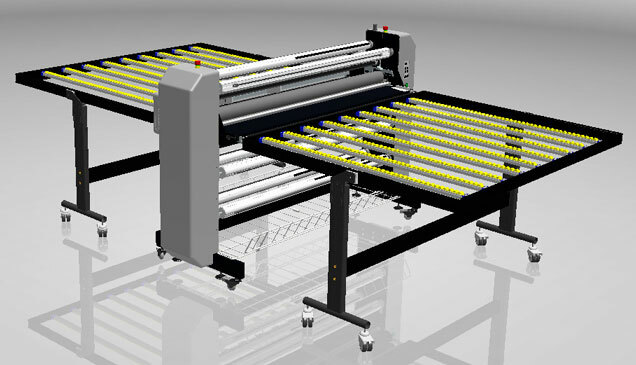 This enables the Shield to become a complete online system when placed between any UV or water based flatbed printer and a digital flatbed router/cutter, such as the Zund. Available with hand or foot pedal controls, in cold or hot versions, with optional online vertical exit cutting, it has a minimal energy requirement. Maximum working width is 1650mm with a maximum thickness of 30mm and maximum speed of 3metres per minute.